Espadrilles are the perfect shoe for warm Key West. 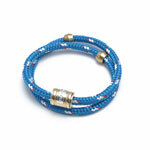 They can be very casual or make a dressed-up look feel beachy and cool. 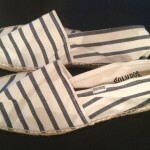 I bought my espadrilles from France until I discovered Soludos, a New York brand that makes the real thing. Based on the traditional espadrilles that have been sold for centuries, Soludos have a jute sole that is cool and comfortable (according to their website, the word “espadrille” is based on the Spanish word for grass). They offer a ton of great cotton patterns and fit true to size (sometimes a problem with espadrilles). I already have a closet full!